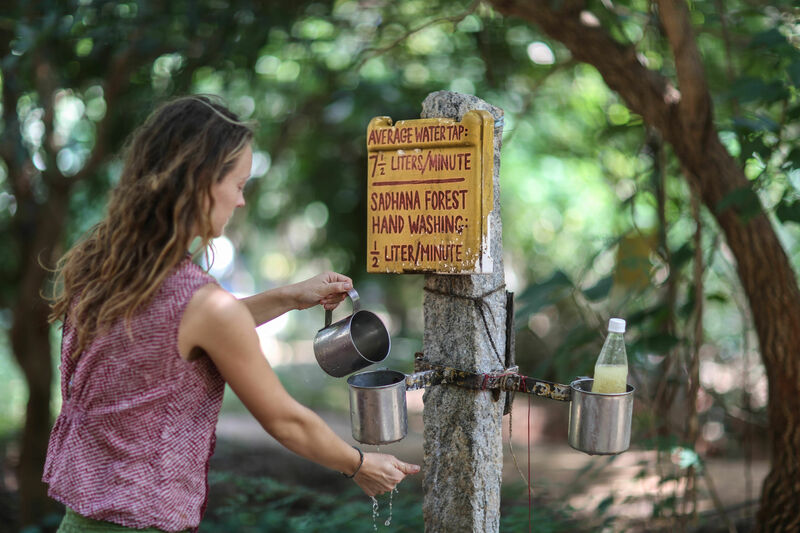 There are so many ecological projects around the world, yet of all the places there are to explore, I chose to spend one year in Sadhana Forest in India. Now that my time here is drawing to an end, I am finding it very hard to leave. 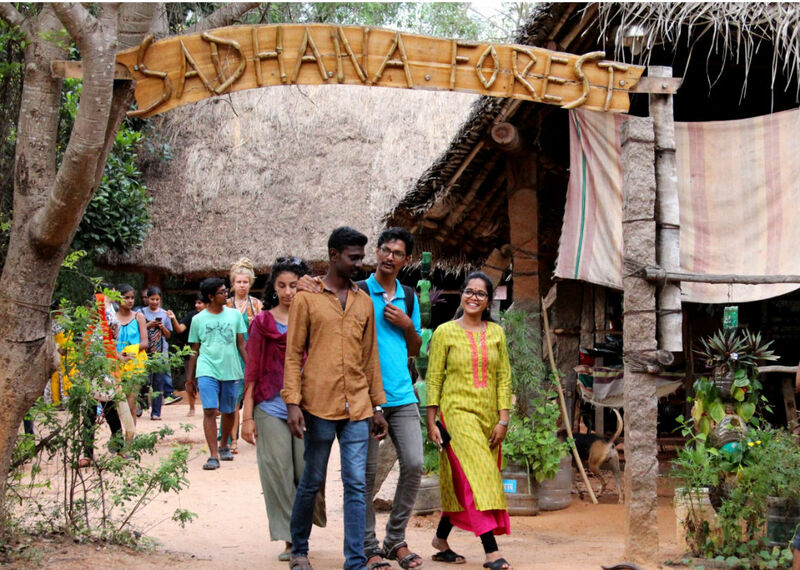 Sadhana Forest calls itself a reforestation and water conservation project as well as a sustainable living community located in Auroville, South India. But what I have found here cannot be described by those few words. This text is my attempt to put into words what it is about Sadhana Forest that I fell in love with. From the moment I walked in for the very first time, this place captured me like no other place had captured me before. There was something in the trees, the pathways meandering leisurely through the forest, the rustic huts, the wood stoves, and… the smiles of the people. Something felt just right. And I knew this was the right spot for me. It looked like a place from a time long past, where people still lived together simply and happily in the midst of nature. I felt like I had discovered an ancient tribe, deep in the forest, unspoiled by modern society, while at the same time putting modern knowledge and technical skill to use in order to live sustainably and compassionately. Now that Sadhana Forest is almost 15 years old, the trees that have been planted by volunteers many years ago are creating a canopy. What was once a dry and barren landscape with no life has turned into a lush green forest full of wildlife and people who care. 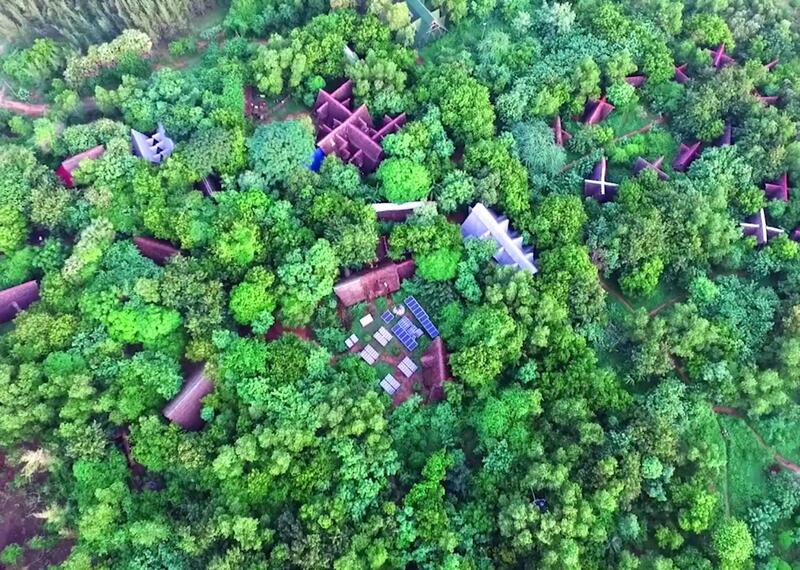 This beautiful indigenous forest was brought back from the verge of extinction and with it thousands of people started to grow towards a greener future. What amazed me and keeps amazing me unto this very day is the integrity of this place and its holistic view. We plant trees, but we do not just plant trees. We conserve water, but we do not just conserve water. This place is about Sadhana, a ‘discipline or practice undertaken in pursuit of a higher goal or spiritual practice’. The real goal is to develop ourselves, find true purpose and to live a life that is truly conscious and compassionate in every aspect. Veganism, gift economy, non-competition and no use of any drugs are the core values of the community that built a framework for this way of living. I found Sadhana Forest to be a place that invites you to live a lifestyle in which the only way to act is the compassionate way. It is a place where compassion is ingrained into the smallest detail of daily life. Vegan organic local food, solar energy, biodegradable toiletries, riding bicycles, food composting, zero-waste, alternative natural construction, compost toilets, water-efficient handwashing, shower and laundry stations – these are all components of a holistic approach to live harmoniously with our environment and everyone who we share it with. In Sadhana Forest we foster a profound aspiration to do seva, which means to selflessly serve all beings in the best possible way. Even though this is quite a large organization with three projects on three continents (Sadhana Forest India, Sadhana Forest Haiti and Sadhana Forest Kenya), nobody works for profit. We all live simply and try to make the best use of the means we have. It is through our integrity alone that we are able to attract thousands of people who wish to contribute to this movement towards sustainability in order to provide the solutions this planet and its inhabitants really need. 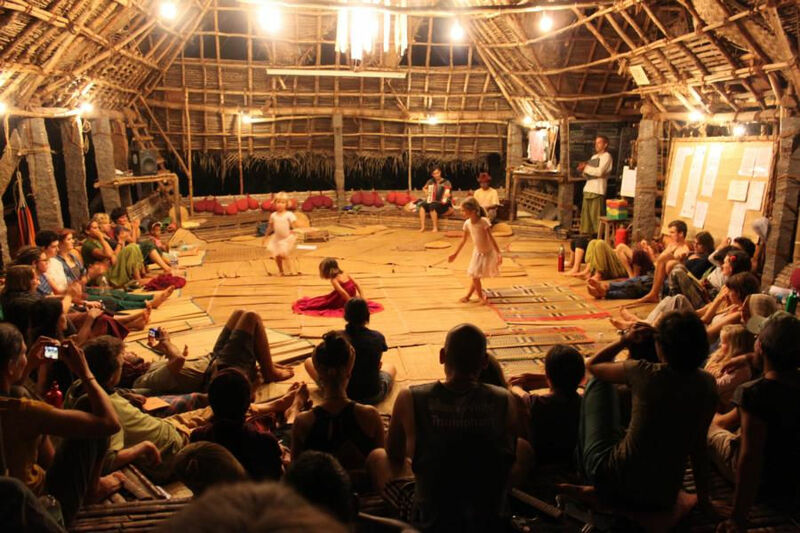 Sadhana Forest also emphasizes the community aspect a lot, which is all too often forgotten. We can live a life that it is very environmentally friendly, but if we do not learn to live together in harmony as brothers and sisters, none of it makes sense. That is why the life here is centered around nourishing good human relationships. There are lots of community activities, we try to share freely what we have as if we were one big family and we welcome people from all ages and all walks of life to join us. Learning skills and techniques to live sustainably is one thing, but what we really want is to live in true harmony with nature and with each other. So beware, coming to volunteer here might turn out to be a life changing experience! You as well may fall in love with this unique community. Both for yourself and for the world, I cannot recommend a better place to go!